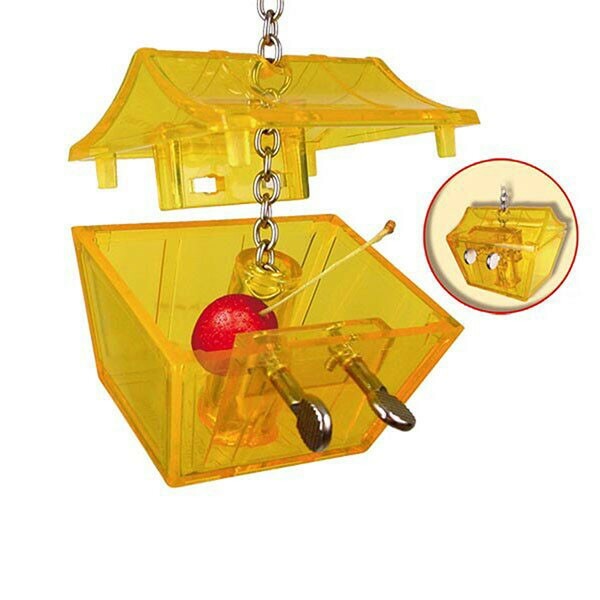 Aye Mate...let your bird hunt for treasure with this fun foraging toy! Fill with fruits, veggies, food or treats and lock the two keys. When your parrot unlocks both keys, the bottom drops, but still holds the treasure inside for your parrot to pilfer. Encourage the natural foraging instinct which keeps your bird happy and healthy. customer reviews on "Hideaway-toy "Parrot's Treasure""